A question I am asked frequently at the gallery is: “Where else can I see ceramics in Los Angeles?” I’m happy to tell visitors that there are more opportunities than ever to see ceramic art in the city, both in museums and at mainstream art galleries. Over the past several years, I have noticed a distinct rise in the number of institutions that represent or exhibit artists who work in ceramics. For visitors who want to go to museums, I always recommend the Los Angeles County Museum of Art (LACMA). Not everyone is aware that LACMA has significant ceramic holdings across a wide spectrum of cultures and time periods. Ceramic artworks play a role in their Japanese, Chinese, Islamic, and Decorative Arts and Design collections, just to name a few. As an encyclopedic museum, LACMA is well positioned to provide a compelling context for the clay works on display. Ceramic artists are also being exhibited in contemporary art galleries with increasing frequency – a development that I welcome! Showing ceramic art alongside work in other mediums demonstrates the position of ceramics within the larger art historical conversation. 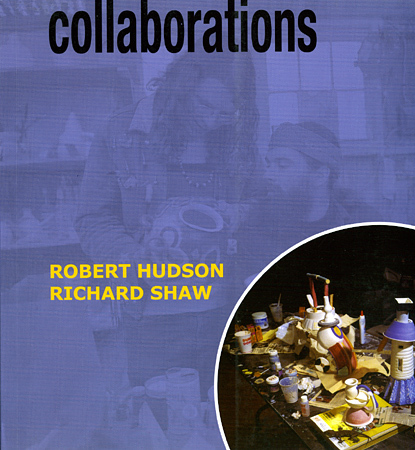 The hierarchy of materials is loosening up and artists are feeling freer than ever to work in clay materials. 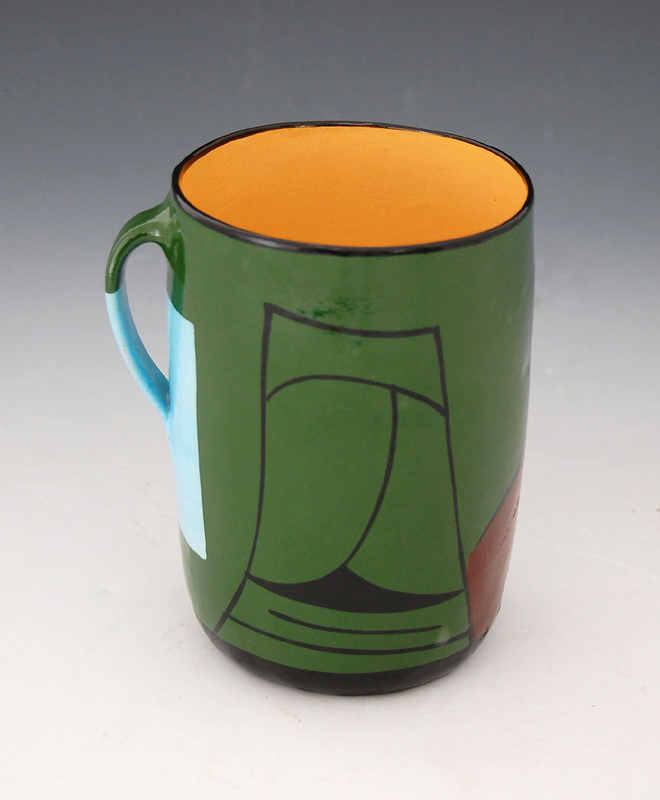 Some local galleries that have been recently showing ceramics are; ACME., with works by Matthias Merkel Hess, Julia Haft-Candell, and Christopher Miles; L.A. Louver, who has shown Ken Price, Ben Jackel, Matt Wedel, and Tia Pulitzer; and Couturier Gallery, featuring the artists Gertrud and Otto Natzler, Rose Cabat, and Jay Kvapil. Other galleries that have been exhibiting ceramic art include Shoshana Wayne Gallery, Edward Cella Gallery, and Marc Selwyn Fine Art. Past Habits, a work from 2010, cracks a gentle joke about a former smoker. 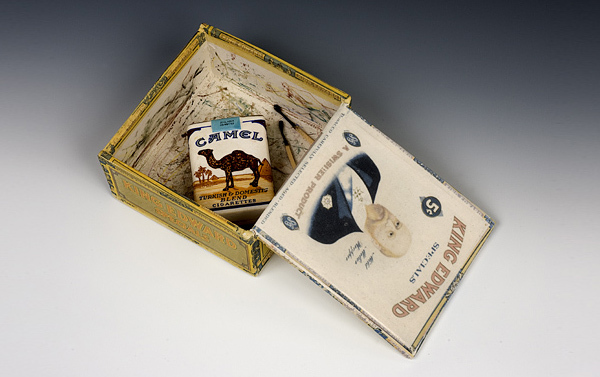 Nestled inside an old King Edward Specials cigar box is a pack of Camel cigarettes and a few extinguished matches. Perhaps the fictitious owner of these cigarettes has tucked them away for an occasional, and surreptitious, indulgence. 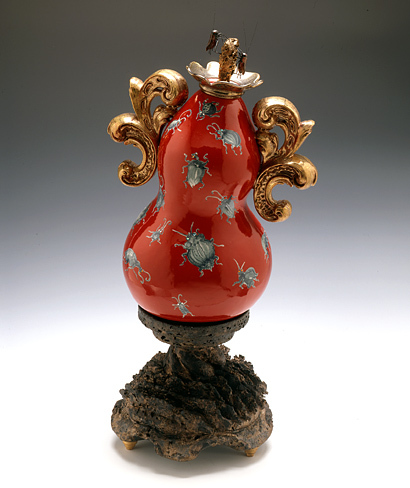 Small jokes like these permeate Shaw’s work, as they challenge viewers to imagine a history behind the scenes he arranges and renders in porcelain. Another ceramic artist with a pronounced sense of humor is Adrian Saxe, who recently gave a talk with Shaw at the gallery. The clue to Saxe’s many jokes can often be found in the titles of his pieces, like his 2004 piece Les Rois du Monde Futur. Translating to “Kings of the Future World,” this work features a flashy red surface, which on closer inspection reveals itself to be a decorative motif of insects. The vessel’s lid is crowned with Chinese fighting crickets. Riffing off the idea that insects’ resilience will allow them to survive the end of the world, Saxe has created an elaborate homage to creatures not usually associated with prestige. 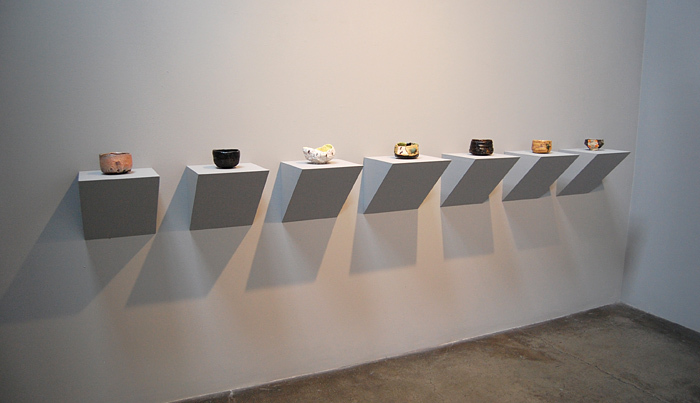 The tea bowls by Goro Suzuki that we have on display in Frank’s International House of Ceramics, Part Three attract a lot of questions from visitors. Suzuki-san works in a range of traditional and contemporary Japanese styles which can be unfamiliar to our audience. Even the titles can be hard to decipher, although they hold the key to identifying the style of each of the works. Here’s a very basic guide to some of the forms and styles you can see in our current exhibition. Classifying these works becomes simpler once you know that their titles function as descriptions of the style and form of each piece. You might notice that the title of each tea bowl includes the word chawan. This translates simply as “tea bowl” in English, so it describes the basic function of the seven works. The words preceding chawan are specific descriptions, indicating the style in which each piece was made. 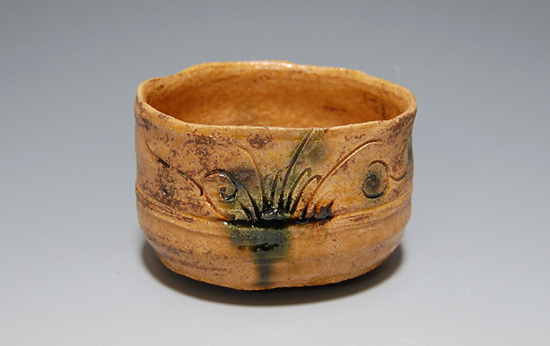 For example, Kiseto Chawan refers to a tea bowl that was made in the Kiseto style, which originated in the Mino region of Japan during the fifteenth century. Kiseto ware developed from early attempts to imitate Chinese celadon glazes, but was soon pursued for its own unique qualities. 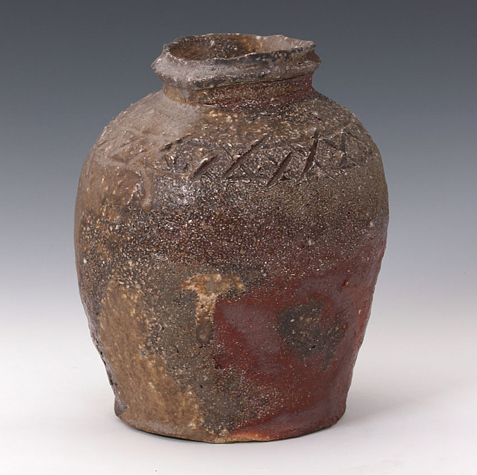 With an ideal surface texture resembling that of fried tofu, this example of Kiseto ware also features the incised iris design and splash of green glaze that are common to the style. 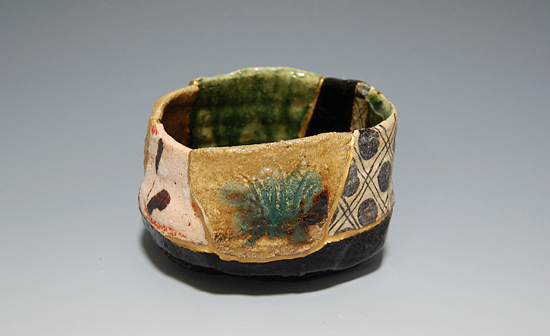 The work titled Yobitsugi Chawan is a tea bowl that was formed in the yobitsugi, or “patchwork” style. Traditionally a method of repairing broken ceramics, yobitsugi refers to the practice of using gold or silver lacquer to combine ceramic shards of differing styles into one vessel. This patchwork aesthetic can also be achieved deliberately through the purposeful breaking and restoration of works, as is the case here. Publications are an important part of what we do at the gallery – they provide us with another way to educate the public about the arts. I’ve written a lot about Sensual Mechanical: The Art of Craig Kauffman, our recent monograph on the life and work of Craig Kauffman, but that’s far from the only book we have available to visitors. 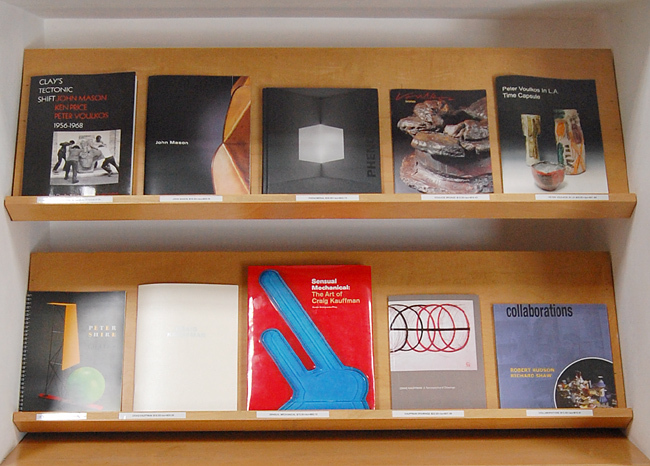 In addition to books and catalogs produced by the gallery, we also offer selected museum publications. I try to make a point of displaying a variety of books that relate to our current exhibition or connect with what’s going on with the artists that we represent. From the beginning (our first gallery publication was a 1999 catalogue for Roseline Delise), my intent was to use the talent and resources at hand. The late Joe Molloy, a superb graphic designer and legendary typographer, designed most of our publications. 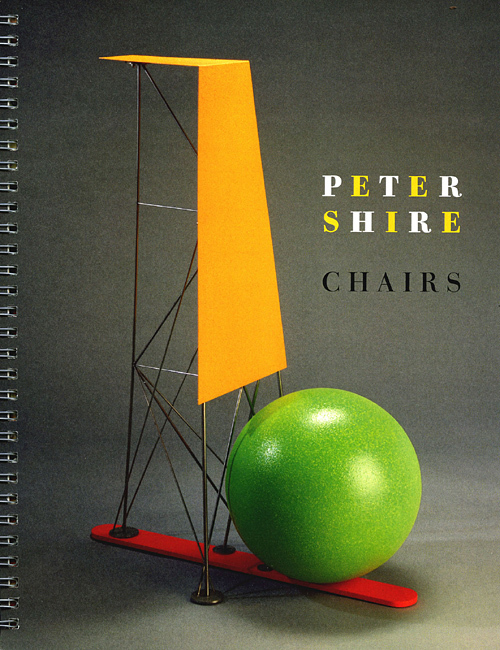 His eye for composition, alignment, and legibility was always present, as the catalogues were designed to extend our graphic identity as well as present the artworks. I’ve also employed recognized authors to write the essays, including Kristine McKenna and Hunter Drohojowska-Philp. Another feature of the gallery publications has been the excellent photography of Anthony Cuñha and Alan Shaffer. Over the years, my gallery has taken on all sorts of guises, from exhibition space to lecture hall. But perhaps its most elegant makeover is when it becomes a private dining room. We’ve put together the menu, gone over the guest lists, and had the catering company plan the meal for dinners from 20 to 100 people. 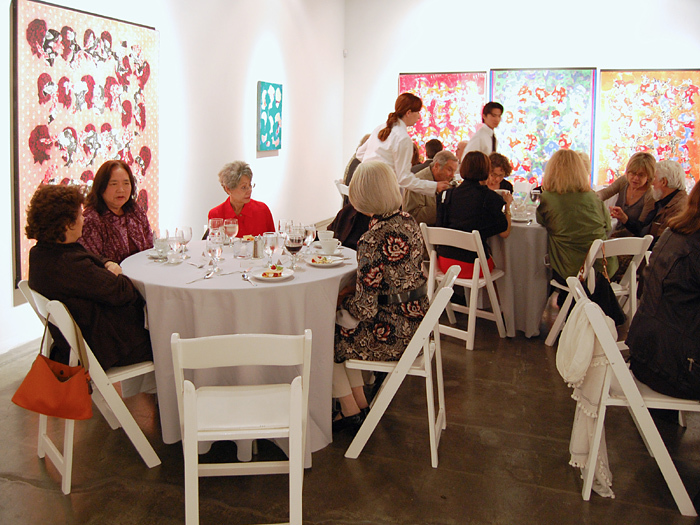 It’s a great way to get friends of the artists and the gallery’s supporters to gather in the space with the art. The largest of these dinners was held in 2000, on the occasion of the Peter Voulkos show of bronzes, a massive and monumental group of work. I took the suggestion of my neighbor, Patricia Faure, and set the dinner up in her space—just to the east of the gallery. We had 100 guests—far more than originally planned, but a truly significant group of people who had known Peter during the previous five decades. 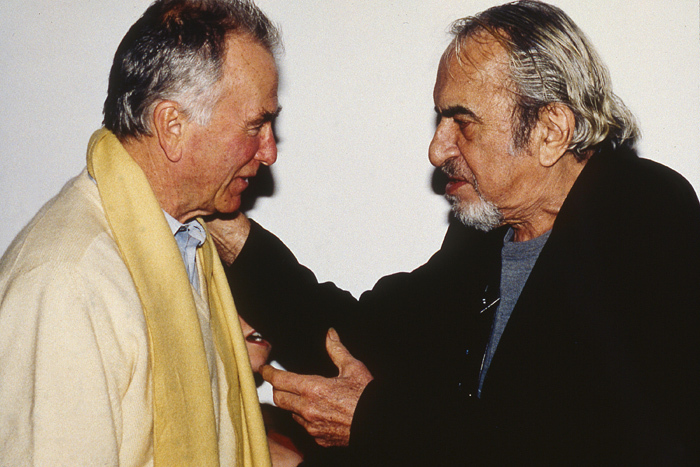 As usual, the late Henry Hopkins (who had known Voulkos since the 1950s in Los Angeles as well as the 70s and 80s in San Francisco) served as the toastmaster. 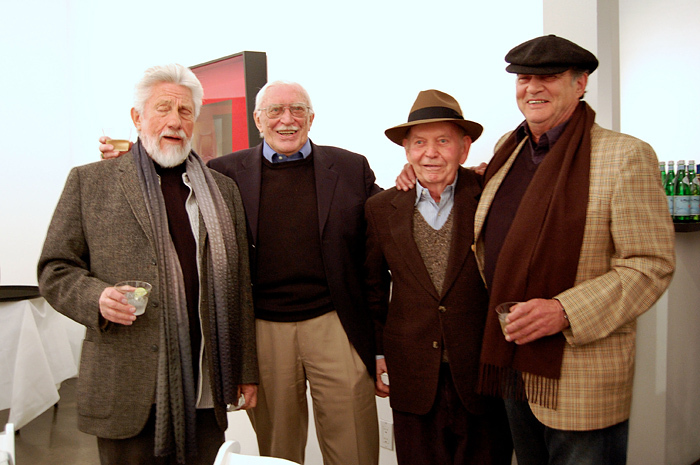 Guests ranging from Frank and Berta Gehry to Sid Felsen and Joni Weyl gathered to honor the legendary Voulkos. 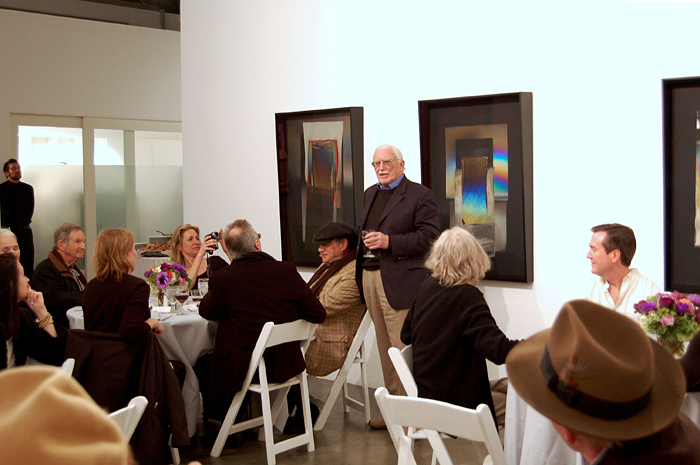 Another dinner was just under 50 people, honoring artist Larry Bell in February, 2008. Larry was kind enough to talk about his show of new works on paper, and our guests were treated to a fabulous sit-down dinner. 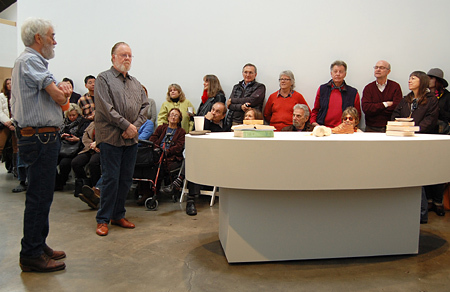 We had the honor of hosting the Director of MOCA, Jeremy Strick and his wife, as well as many of Larry’s oldest friends, including Stanley and Elyse Grinstein and John Mason. Among the others were collectors and curators, all seated in a refined and elegant setting amidst the luminous new collages. 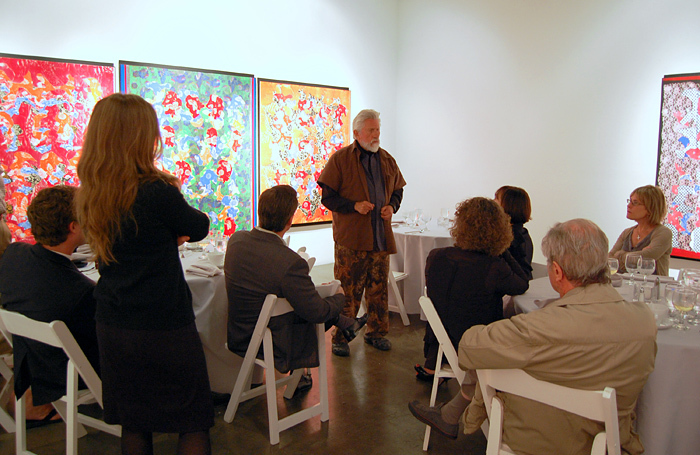 More recently, we co-hosted a dinner honoring Ed Moses, during his 2010 exhibition. Ed invited some of his long-time friends, and we invited some of his long-term supporters. This time, the connections made at the dinner resulted in the placement of a Moses painting at a museum! For this event we moved the feast next door, but still the style remained—a kind of transformation of the gallery space into a small and intimate private restaurant. It’s that kind of personal experience, and sense of community, that makes the art world rewarding. If you’ve been following this blog, you know that arts education is central to the mission of the gallery. In the past, we’ve hosted artist talks and interviews, exhibition walk-throughs, and even a class on collecting. Last Saturday, the gallery hosted one of our most popular events yet – a conversation between ceramic artists Adrian Saxe and Richard Shaw. 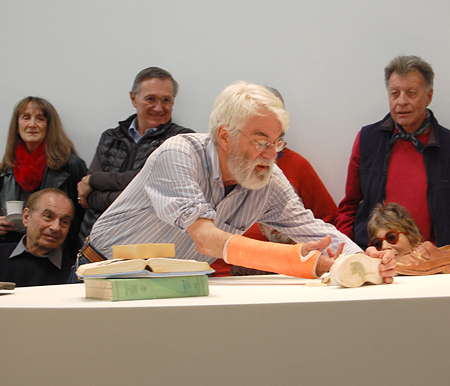 Visitors packed into the gallery on the morning of the 9th, happy to get a chance to hear from these two master ceramists and professors of art. I knew this event was going to be big – we received around 50 RSVPs – but I had no idea that nearly 70 people would ultimately arrive. Curators, collectors, and artists including John Mason and Henry Takemoto were all in attendance. With some of their recent works arranged on plinths around them, Saxe and Shaw spoke to the audience about their methods and influences. Although their work is quite different in style and content, the two artists share a sense of humor and an interest in contemporary culture, which comes through in their art. 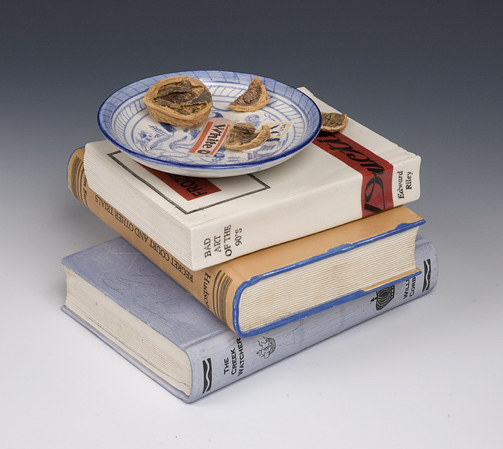 Richard Shaw’s trompe l’oeil still lifes in porcelain whimsically combine everyday objects, appropriating mass culture as well as drawing on personal experiences and memories. Adrian Saxe works primarily in the vessel tradition, where he sees an opportunity to deal with challenging and complex social and cultural content in a format that is appealing and accessible. 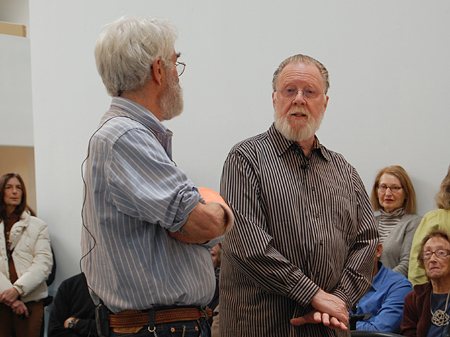 As their conversation wound down, the artists graciously fielded questions from the audience. If you weren’t able to make it out to Santa Monica to hear from them in person, don’t worry! We filmed the event and will soon make a video available online. I’ll be posting it here when it’s ready, so stay tuned.